There is a charm about the month of Ramadan, and for some reason there are dishes people crave only during this holy month. Whether it’s the idea of fasting for a long time or just traditions brought forth across generations, sweets and in particular Arabic sweets are amongst the favorite indulgences in the evening. One of the popular arabic desserts is ” Halawat Al Jibn”, which means ” the sweetness of cheese” is just what the name implies, a dessert based on cheese. 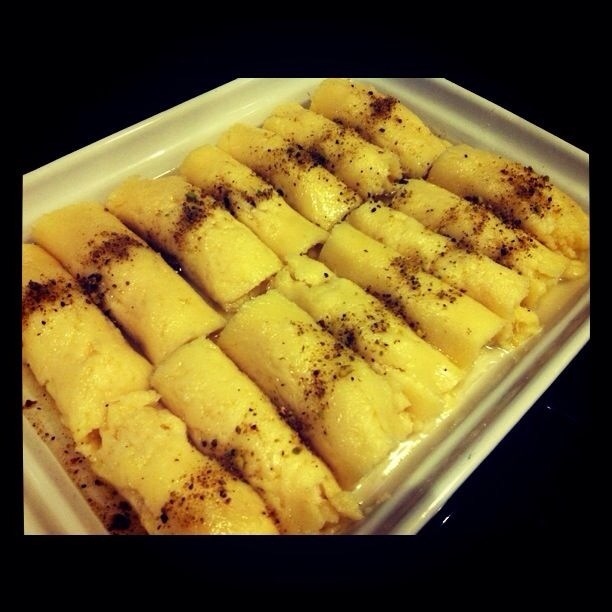 This is a household favorite and very popular in Lebanon specially in the Northern part of the country, i.e. in Tripoli. Instead of waiting to visit Lebanon to try it, why don’t you try this Super Easy method, trust me you won’t regret it. For years we would gather around mom trying to steal bits and pieces of the dough that didn’t make the cut! 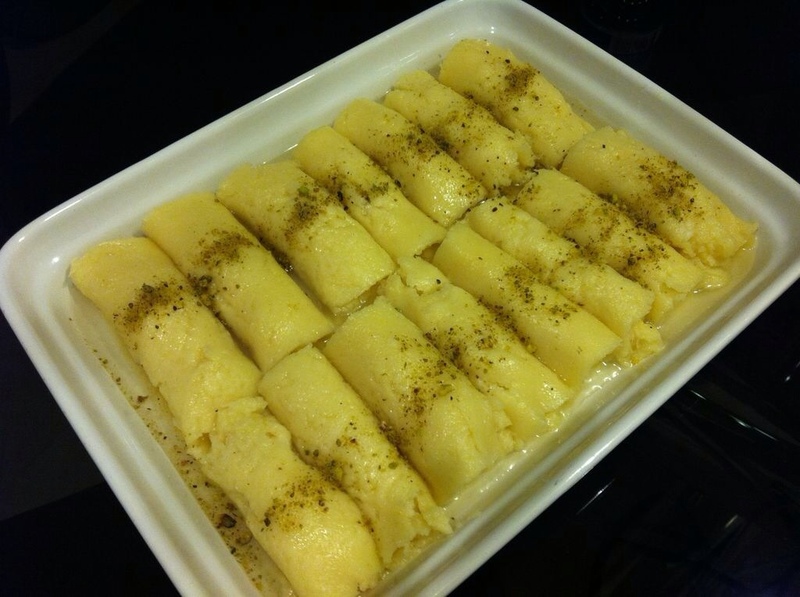 This dessert is comprised of 3 parts, the cheese dough, the syrup, and the cream filling ( ashta). 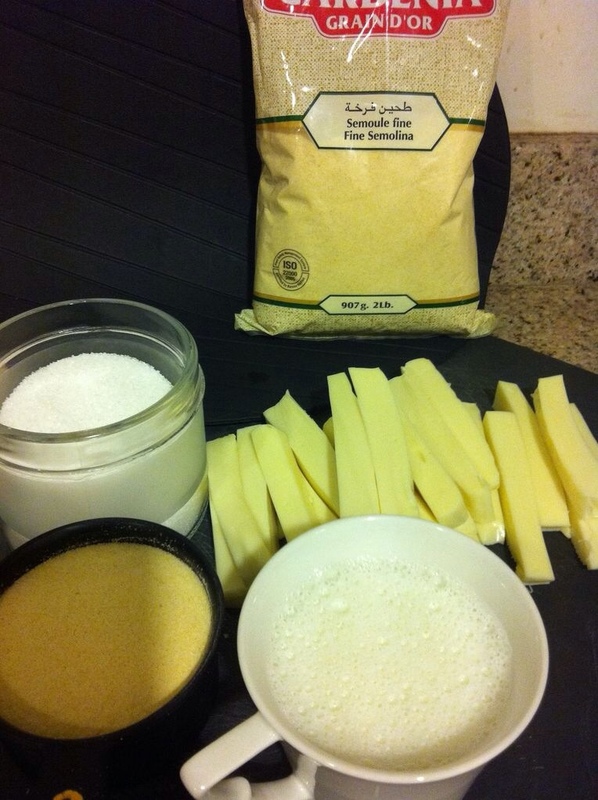 For best results have the ashta and syrup prepared before you work on the cheese. 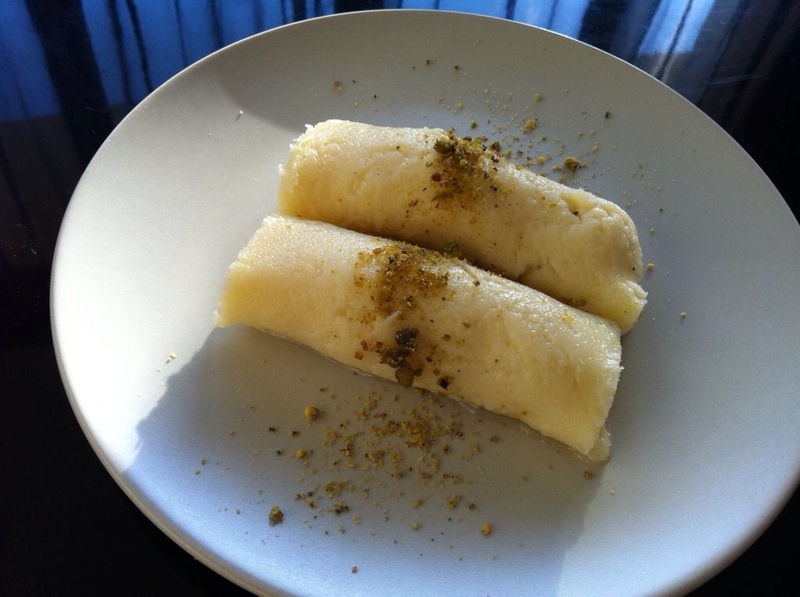 Recipe (very easy) for both is found on the Atayef post i posted last year. Link. 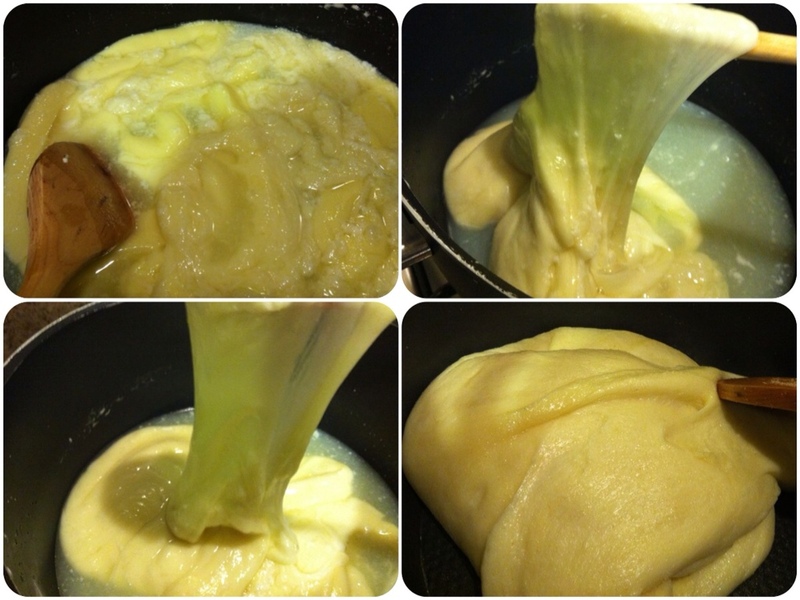 In a large pot, put the milk and sugar on low heat until dissolved. Add bit by bit the mozarella and stretch it as you go along. Keep adding and stretching then add gradually the fine semolina (theen farkha) and stretch the cheese until it’s all one piece like a dough. 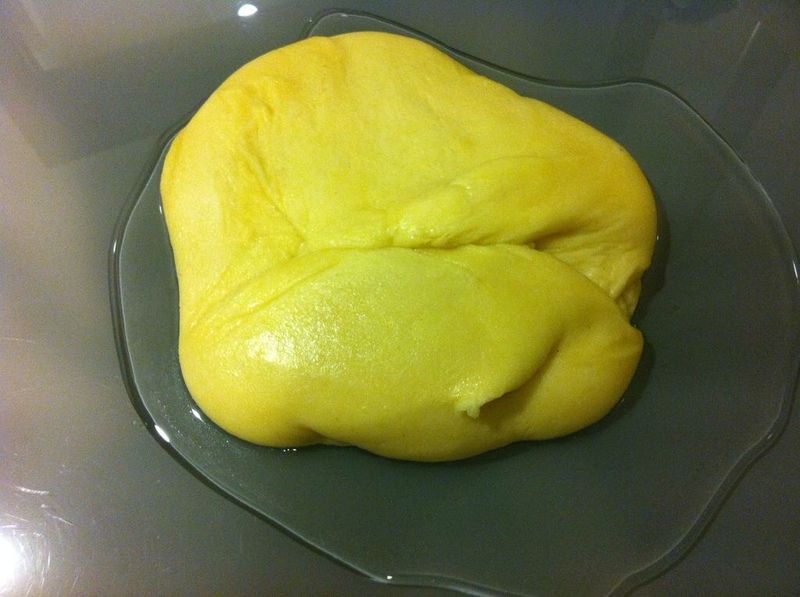 It has to be a smooth dough just like the photos. On a clean countertop, put the syrup you already prepared (2 cups sugar, 1 cup water, 1 tsp rose water and orange blossom, a lemon squeeze). 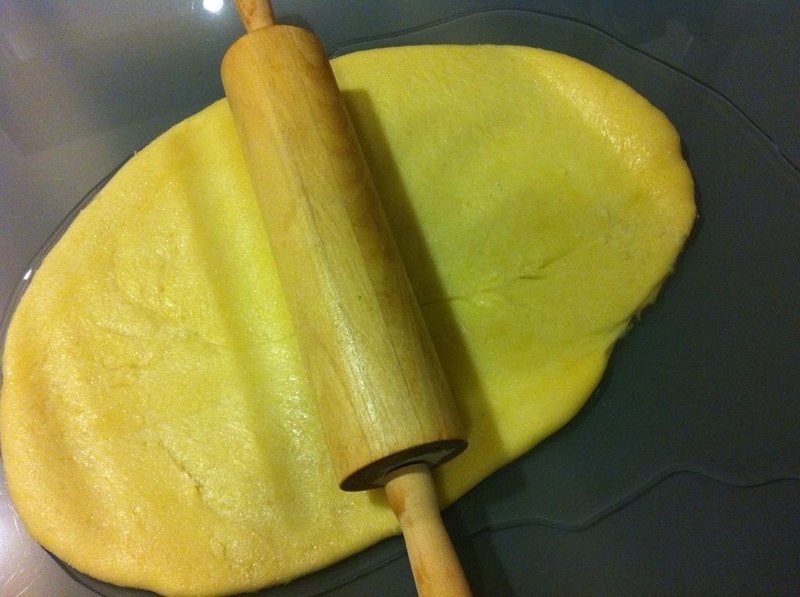 Lay the dough and roll it on the syrup. Cut the dough into squares and fill each square with the some of the Ashta ( cream filling, can be either fresh or home made as in Katayef recipe). 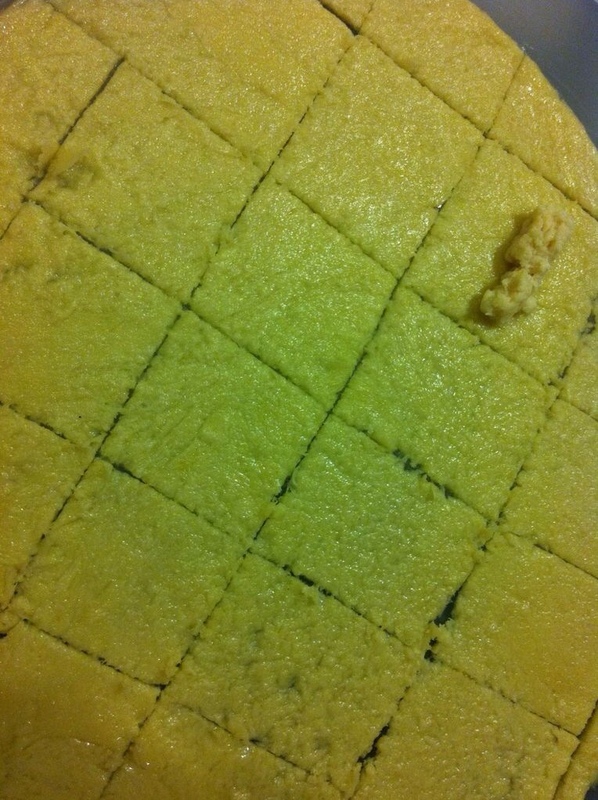 Roll each of the squares and line them in the serving tray. Garnish with ground pistachios. As simple as that, trust me it tastes much better than store bought! try it and give me you feedback!